Do I make it or do I need to eat it? Will taking it stop me from making something? What quality brand/version am I using? The oil (fat) from a number of different sea creatures. Fish oil is mostly comprised of polyunsaturated omega 3 fatty acids, some of which include EPA and DHA. These two (EPA and DHA) are thought of as essential fats for immune regulation, brain development/function and anti inflammatory response. Although we can get omega 3 fats including (EPA and DHA) from the fat of land animals (i.e. beef/lamb) and a touch from plants (algae/flax/chia), the highest amounts come from sea creatures, particularly cold water fish like sardines and anchovies. The body can make a little of these fatty acids from other fats but it’s a very difficult to do and doesn’t contribute much. In essence, they are considered essential fats because we need to get them from food. Fish oil is concentrated from these fish or other sea creatures and put into a pill. In essence, it’s a supplement of the fatty acids we should be getting through eating a decent amount of fish, pastured/wild animals and lots of plants. Since most of us don’t eat enough of those items it’s considered a makeup for the lack of omega 3 in the standard American diet. Fish oil is one of the health darlings these days for good reason, as it is being studied for a multitude of things and has some very promising results at this point in time. In general it seems to have some anti-inflammatory capabilities (or at least helps support those processes in the body) and it appears to help with insulin sensitivity, brain function and a few other things that are very intriguing and have a lot of people excited. The biggest potential benefits and research “momentum” are in the brain health and inflammation response realms. We’ve been eating animals and plants with omega 3s for a long time. Many people claim that we became human because of the introduction and increase of these fats in our diet. We have not, however, been eating isolated, concentrated, distilled and capsuled versions for very long, only a decade or two, with the exception of cod liver oil (a different substance that deserves its own rundown). Fish oil may end up being fantastic and have no adverse impacts but since it’s a brand new kid on the block, we need to think critically about it like everything else in the food supply. As with everything else in the health darling category, the more popular a food/supplement gets the more quality needs to be considered and scrutinized. Most commercial fish oil is from unhealthy fish or sea life, often farmed and slaughtered quickly, and is processed without attention to the detail required for this product. As a result, most commercial fish oil has a low percentage of the critical EPA and DHA in it, which makes it less effective. Quick and/or poor processing is a disaster for the fragile omega 3 fats. Heat, light and air can all turn the precious omega 3 fatty acids into rancid and oxidative fats that can be inflammatory, the opposite of the desired impact. Good fish oil comes from sustainable cold water fishing and is processed, packaged and stored carefully. It is very difficult to accomplish this. If not done correctly, the fish oil you’re getting is inert at best or potentionally harmful at worst. *I’ll link to a few brands that I think do it right at the end of the post. Is supplementing with any kind of isolated and/or concentrated substance good for us? We don’t know the answer to this no matter what people claim some clinical trials say. How much should someone take? How do we know this? What are the percentages of some of the different types of DHA and EPA that are desirable? How much personal and individual variance is there? If we find a good dose how long is it good for? Is taking fish oil in essence covering up something that’s not working well, i.e. using it as a Band-Aid? Is it a good thing to be taking a bunch of fish oil (thinning your blood) if your body is trying to thicken your blood? Is it smart to fight against the body’s adaptions? If fish oil is anti-inflammatory (or supports anti-inflammatory processes in the body), is this a benefit if you are unbalanced and have too much anti-inflammation or got too much anti-inflammation when you need to be having some inflammation to deal with something? Your body is often inflamed for a reason. Do we want to dampen inflammation through fish oil supplementation if we need to be inflamed to deal with a problem in the body? Should we be more interested in limiting the over abundance of omega 6 fats, the inflammatory partner of omega 3? Is fish oil the best way to get these things that we think are good for us? Should we be worrying about getting fish oil from fish in the context of a whole food like everything else we try and eat in our diet? If you’re taking fish oil to improve insulin sensitivity are you also working on the problem of insulin and why your insulin receptors are not sensitive? Does forcing more sensitivity go against everything else the body is adapting for? If you’re using it for brain health are you also dealing with the underlying systemic cause of why your brain may not be working? How do we know when our tissues are saturated with polyunsaturated fats and the extra concentrated omega 3s in the fish oil are just extra fats we can’t absorb? What do you think it’s going to do for you? How long have you been taking fish oil or do you plan to take fish oil? What do you eat with the fish oil when you take it? How often do you take it? Do you cycle through dosage of fish oil? Do you use different brands? These are just a few of the many questions that arise when someone asked what I really think about fish oil. My main priority is whole food and to get my omega 3s from fish, seafood and grassfed animals. I do have fish oil on hand and take it occasionally when I think about it, often with other food, and I change my supplementing strategy whenever I feel like it. Sometimes I’ll take it more often and sometimes I’ll go weeks without it. The more I get through my diet the less likely I am to supplement. I buy the best quality I can find, use it slowly and then don’t take any for a while until I decide to buy some more again. My wife and boys get less through their diet so they also supplement as regularly as we can remember but we certainly don’t stress about it. 1. We are pretty sure that the fish oil components of omega 3s (EPA & DHA) are very important parts of the human diet. 2. We aren’t sure whether supplementing with fish oil is as effective as we want it to be and it may be harmful if the conditions are wrong. 3. 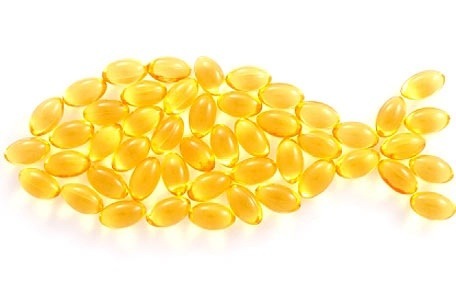 There are too many factors and unknowns to make a blanket statement about the efficacy of fish oil. 4. The best approach is to get omega 3s from whole foods such as fish, grass fed animals and plant sources/seeds. If you aren’t able to then think about supplementing with fish oil. 5. Supplemental fish oil should be of the highest quality you can find/afford and be taken strategically and thoughtfully. Very interesting comparison- it seems that so much in the nutrition realm is falling into this dynamic which makes it very difficult to study but explains why there’s so much confusion and reevaluation.